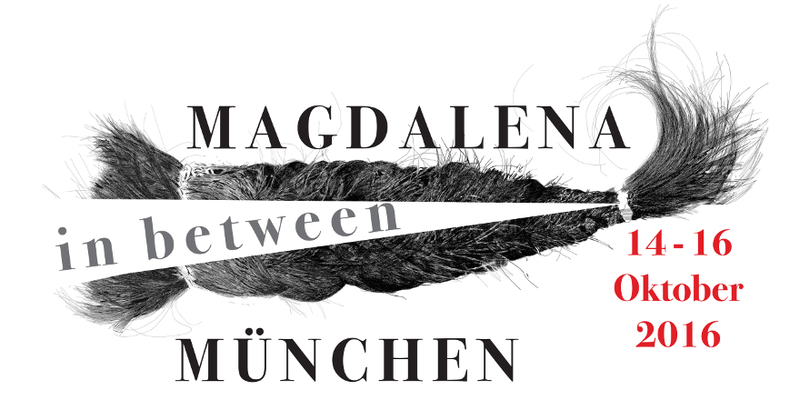 i am currently completely busy with the organisation of “Magdalena München – In Between” – a long weekend of performances, workshops, installations, discussions and more; part of my efforts to establish the Magdalena Project network in munich and germany. it’s not an easy task to organise something like this in a city where i am not only an outsider, an auslander, but also where i don’t speak the language well and am not so au fait with the peculiarities of the arts community – the personalities, relationships, and so on that are different in every cultural ecosystem. i have to navigate all of this, with limited language ability, and sometimes it’s pretty challenging. of course, i’m not doing it alone – i’m working with a team of great women, but our project is new and not easily communicated to people who have a vast selection of arts and culture to choose from. first of all we have to get across the concept of the Magdalena Project – that it is an international network, and that it is not only about “theatre” (germans have a very narrow definition of “theatre”) but it encompasses a great variety of live performance work. and then we have to promote the individual women artists, who are all amazing in their own ways. we have to promote Violeta Luna to the spanish-speaking community and to people who are interested in political performance; Sandra Pasini should be of interest to the Italian community, as well as to musicians, singers, and so on. for Kordula Lobeck de Fabris, i’m trying to find out who in munich is interested in art projects inside prisons. and so on … most people in munich haven’t heard of the Magdalena Project, let alone any of these individual artists. so it’s a big job! as if it wasn’t already challenging enough, annie abrahams & i will perform “Unaussprechbarlich” again on the opening night, friday 14 october. 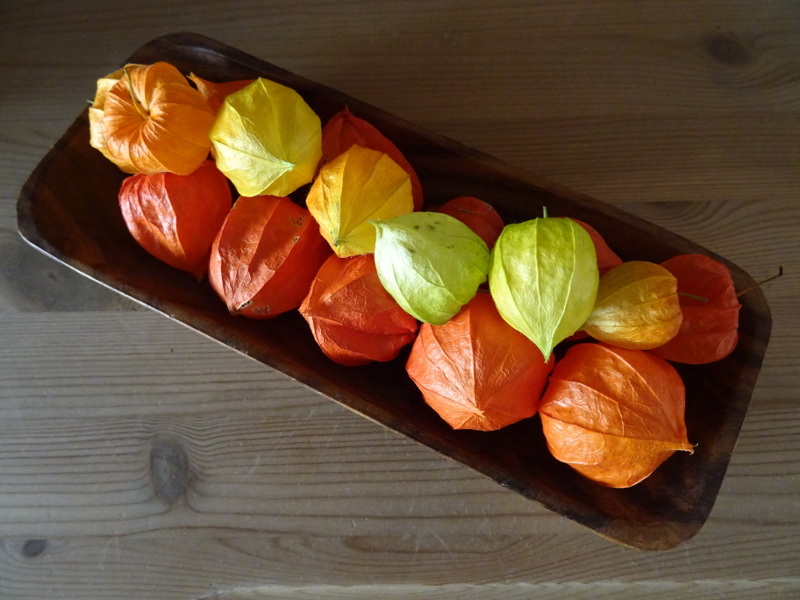 we created this performance last year, based on our experiences of learning another language as adults to live in a foreign country (annie moved from the netherlands to france 30 years ago, and i moved from new zealand to germany six years ago). i admit to being a little bit nervous about performing as well as organising – it’s something many magdalenas seem able to do without difficulty, but as i’m not really a performer myself, it’s more stressful. i’m doing my best to prepare in advance! 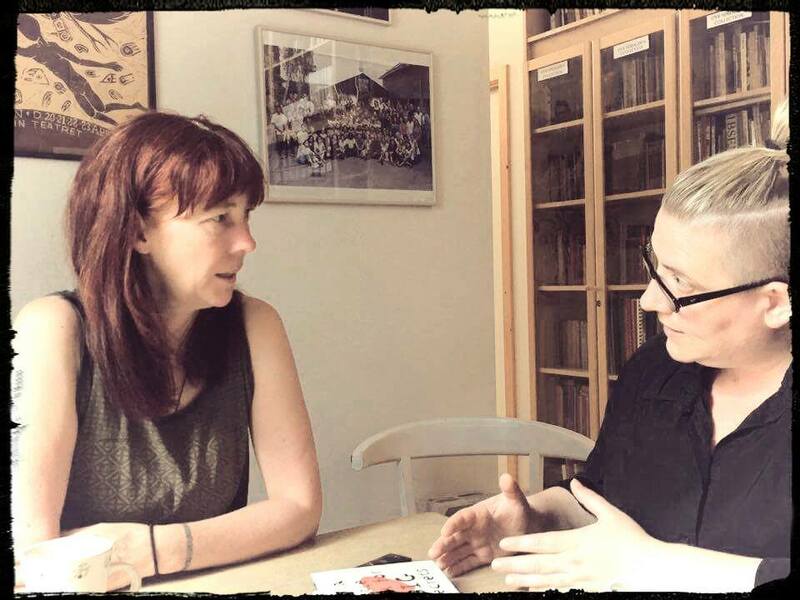 meanwhile in other news: while at the Transit Festival in june, i was interviewed by the wonderful zoe gudovic for her series of inspiring feminist artists. the interview is now online here, and that’s us talking together in the photo at the right. i recommend checking out the others who zoe has interviewed – read the interviews here and get inspired!